The Modules on the front of a glue gun are the work horse of an applicator gun. 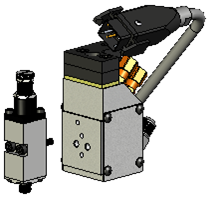 MeltPro produces gun modules that will directly replace the modules on other OEM applicators. MeltPro modules have been designed to be “Multi-Functional” modules. From MeltPro, you do not have to purchase a specific type of module to do a specific type of operation. Our modules have been engineered so that some features have been built in or combined into the one module. For a more detailed explanation of these features, please go to the area just below the module chart. Click Here to search our catalog for a module compatible with your existing ones. Or Click Here to see our On-Line catalog. "If You Glue It... We Can Do It!" 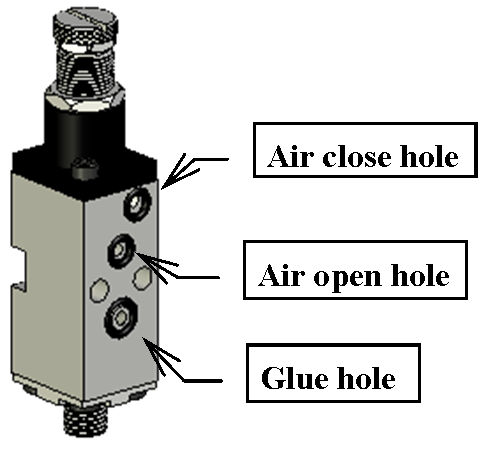 The glue module or “gun mods” are mounted to the front of a glue gun. These are the devices that actually open and close to let the glue dispense onto your product. Depending on the type of applicator gun you use, you can have anywhere from 1 to 40 glue modules on each applicator gun. Some modules require a nozzle tip and some do not. There are a number of different types of glue modules that you can put on your glue gun. 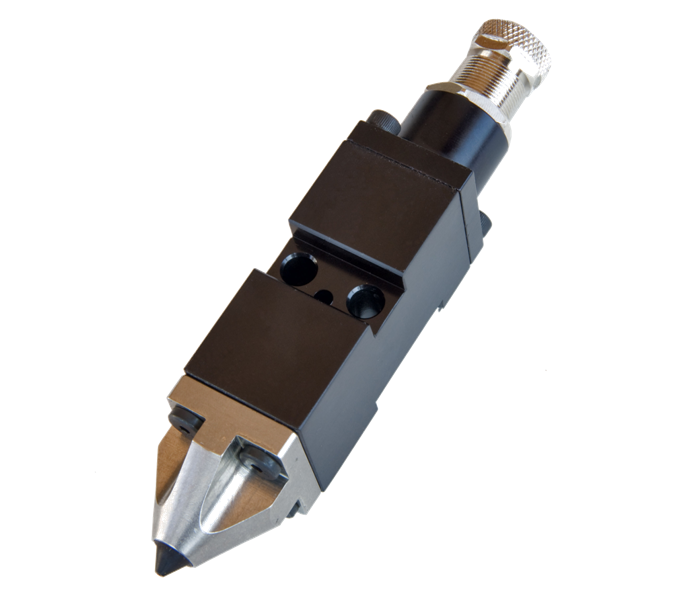 MPS2000 & LT5000 Generic Multi Purpose modules are the type that allows you to change out the glue nozzle tips to customize how much glue is being put on your product. There are many different options of nozzle tips that you can use with the generic modules. The 2000 series is common for a Nordson® glue gun and the 5000 is common for an ITW® glue gun. 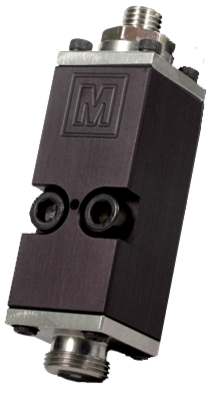 MPS8000 Zero Cavity modules have a fixed glue orifice hole that cannot be changed without replacing a part of the module assembly itself. These modules are used for very fast production line speeds. They operate at a faster rate than the generic modules and produce a very sharp clean cutoff. 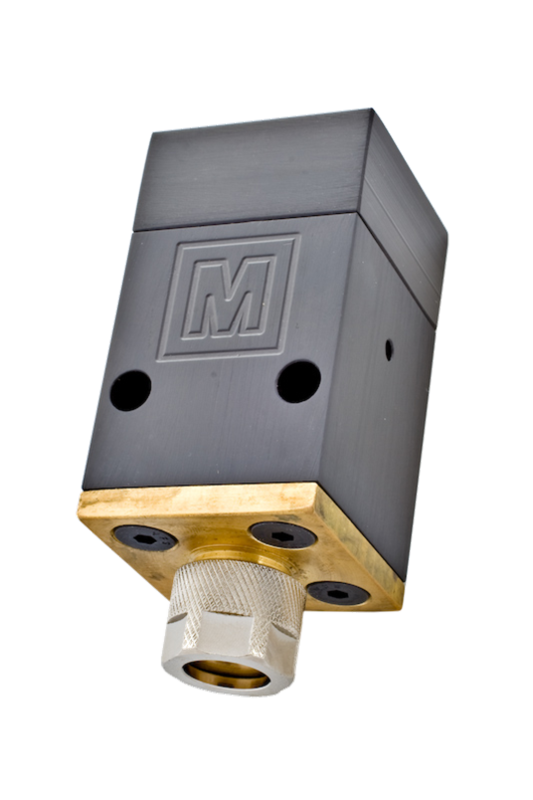 These modules replace Nordson® zero cavity modules. MPS7000 Spray Swirl modules are the ones that produce a round swirl pattern of glue as it ejects from the module. 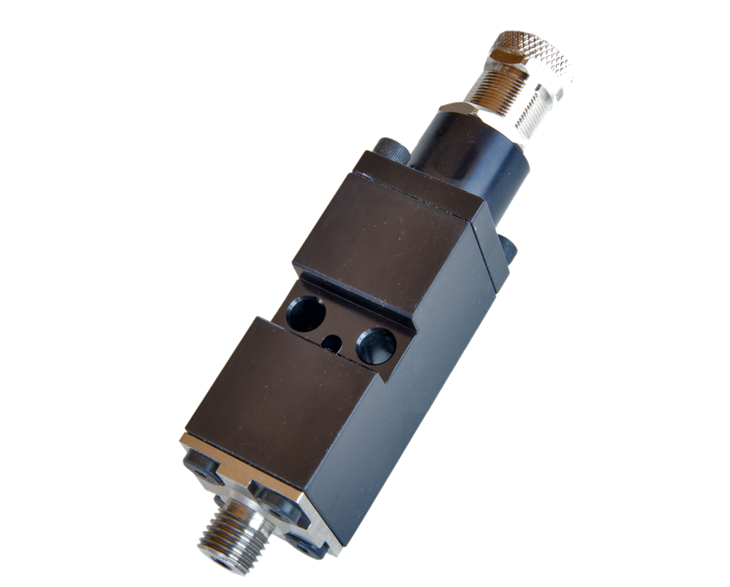 These modules also require a nozzle tip to produce the desired amount of discharge and coverage that you need applied to your product. These modules replace Nordson® CF modules. 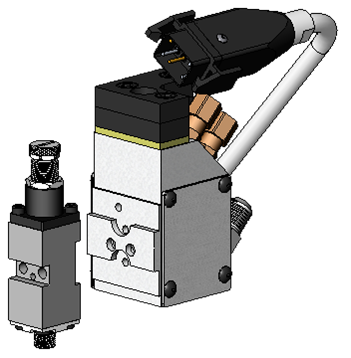 NO3000 High Volume modules have much larger bodies and fluid pathways to allow a larger volume of glue to be dispensed. 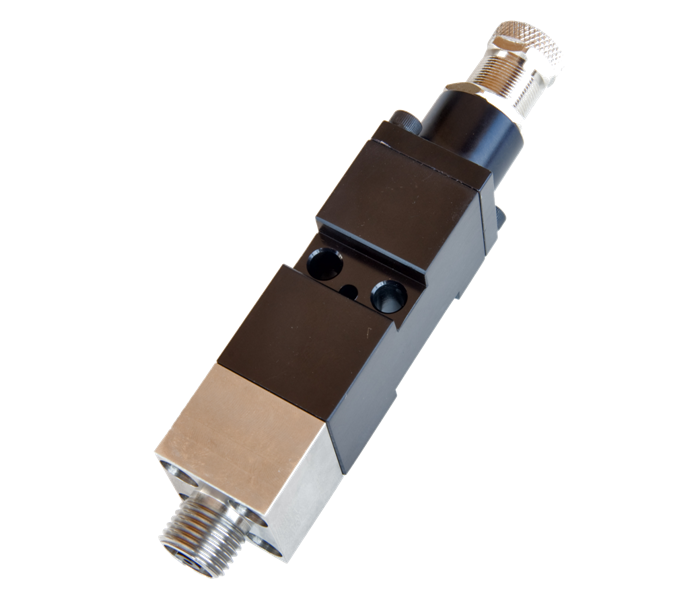 These modules also require a nozzle tip for the desired output. These modules replace Nordson® H20 modules. Here are the basic MeltPro part numbers for the different gun modules and a reference to the OEM modules that they can replace. Below the chart is an area where you can read more about the differences between MeltPro’s modules and the OEM modules. MeltPro modules have been designed to be “Multi-Functional” modules. What we mean by this is that with other OEM’s you have to purchase a specific module in order for you to have the right type of operation for your needs. The opening & closing of a module can be done in two different ways. 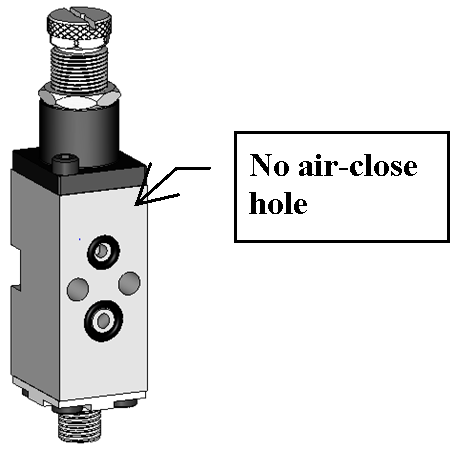 One way is to use air pressure to open the module and let an internal spring close it. The other way is to let the air pressure open and close the module. Both firing options have their own pro’s & con’s depending on the type of work you need them to do for your setup. From other OEM’s you will have to purchase two different modules if you have production lines that need each type. From MeltPro, you will purchase only ONE module that can be used for both setups. The same module can be operated as “Air-Open” / Air-Closed” (AOAC) or “Air-Open / Spring-Closed” (AOSC). Another feature that MeltPro has built into the modules is the “Micro-Adjusting” feature. Again, with other OEM’s you have to purchase their modules that have this feature but with a MeltPro module, that feature is already built into all of them. Because of us merging some of the module features into the same module, this does make our modules look different and it may throw you for a loop when you see them thinking that you were sold the wrong module. Let’s look at our module and another OEM module so we can explain the difference and assure you that even though ours may look different, it works just the same as the other OEM. With the MeltPro modules, all of them already have that extra hole at the top of them. MeltPro has engineered the internal workings of the module assembly so that the one module body can be used for both types of operation. It’s just a matter of how the module is assembled that makes the difference whether it is used as a “Spring” or “Air” closed module. The assembly difference is whether a single “set screw” is installed or not and this “set screw” can easily be installed or removed even by the user of the module. (MPS2000) or (MPS8000-**) and so on. (MPS5000) or (MPS8000-**H) and so on. For the first few decades that hot melt adhesive glue guns were being produced, all of the applicator guns and modules were made with a flat surface between the gun body and the module as you can see in this picture. The MeltPro version of this module type has a zero (0) as the 2nd number in MeltPro's part number for the "Flat Back" modules. MPS2000 or MPS8000-18 and so on. At one point not too many years ago, one of the OEM’s made several changes to their applicator guns. Among these changes, the OEM added an extra raised bar to the front surface of the gun body where the module mounts. This means that they also had to add a special cut-out to the back surface of the modules so they would properly fit onto the glue guns. The MeltPro version of this module type has a "7" as the 2nd number in MeltPro’s part number for the modules that have the "Cutout" on the back of them. MPS2700 or MPS8700-18 and so on. MeltPro also produces all the normal modules in a “Non-Adjustable” version as well. This simply means that the fine threaded adjuster screw is not installed into the top of the module. It is replaced by a special plug. The main idea behind having “non-adjustable” modules is to prevent anyone from making unwanted adjustments to the modules. The MeltPro version of this type of module has the letter "N" in the MeltPro part number. MPS2000N or MPS8000-18N and so on. The number of items that MeltPro has to offer far exceeds what can be shown on our web site. Our sales catalog shows a much larger picture of what MeltPro has to offer but even that does not show everything. If you still cannot find the item you are looking for, please contact MeltPro for assistance. Nordson® and Slautterback® are registered trademarks of the Nordson Corporation. ITW DynatecTM is a trademark of ITW Dynatec, Inc.
MeltPro Inc. is not affiliated with Nordson®, ITW Dynatec®, Slautterback®, or any other OEM. All OEM part numbers are for reference only.